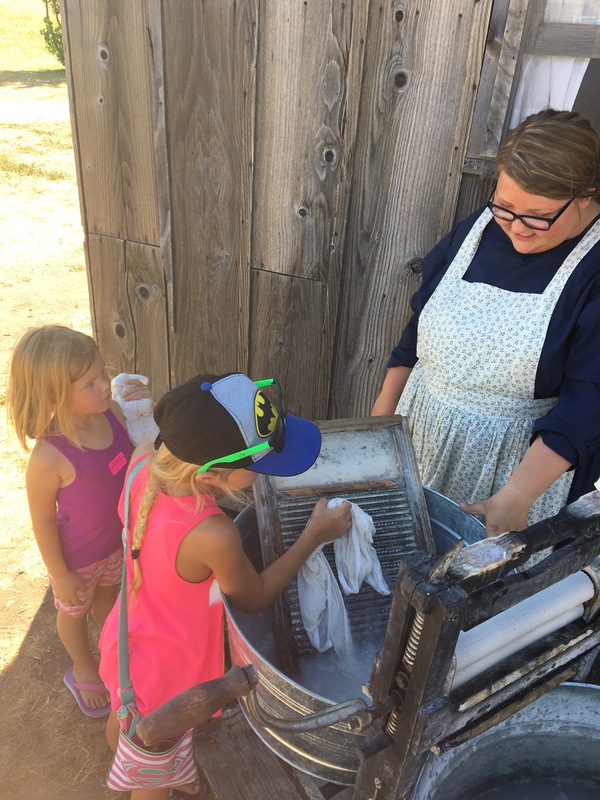 The girls and I spent one very, very hot afternoon exploring one of the Laura Ingalls Wilder historical sites in De Smet, SD. 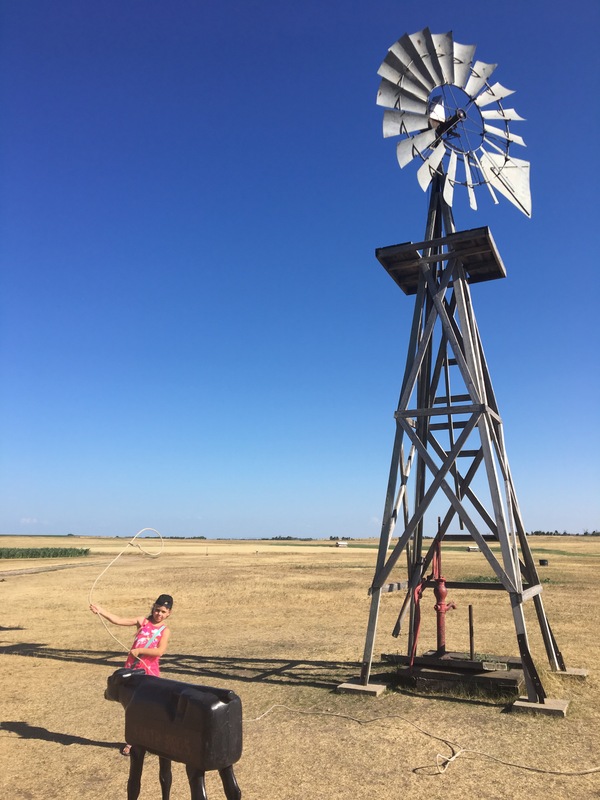 We had enjoyed reading Little House on the Prairie around the time we moved into the RV, so the girls were really excited to see where Laura and her family had lived, even though the book we read was about their time in Kansas. 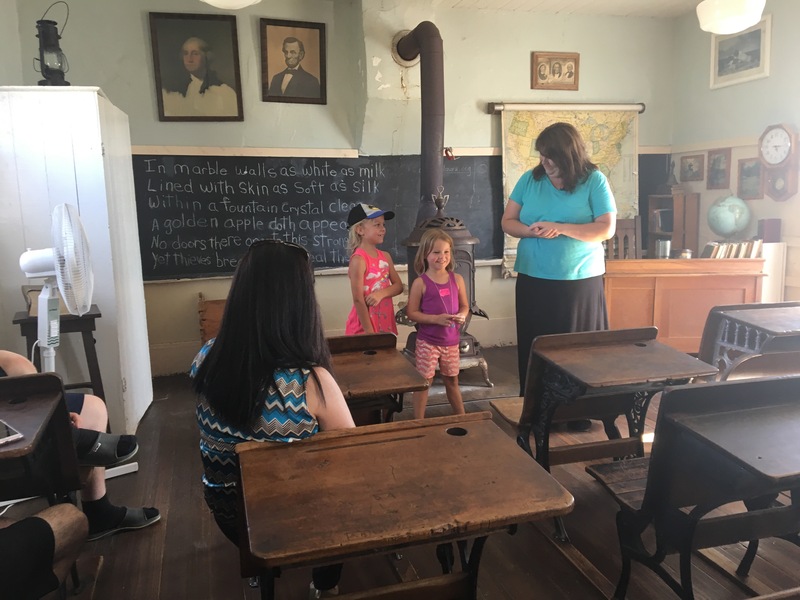 The entirety of the 160 acre homestead has been restored to reflect the way the Ingalls had it as much as possible. The land has changed hands several times and has continued to be farmed in the last 150 years. But the family that purchased it 20 years ago used descriptions from Laura’s books as well as some of Pa’s historical documents to replant the fields with the same crops, and rebuild their small house with the same floor plan. Some buildings from around De Smet from the same time period have been moved to the farm as examples of lifestyle in that time period, and other structures like a small barn built into the hillside, may actually date back to the Ingalls family. 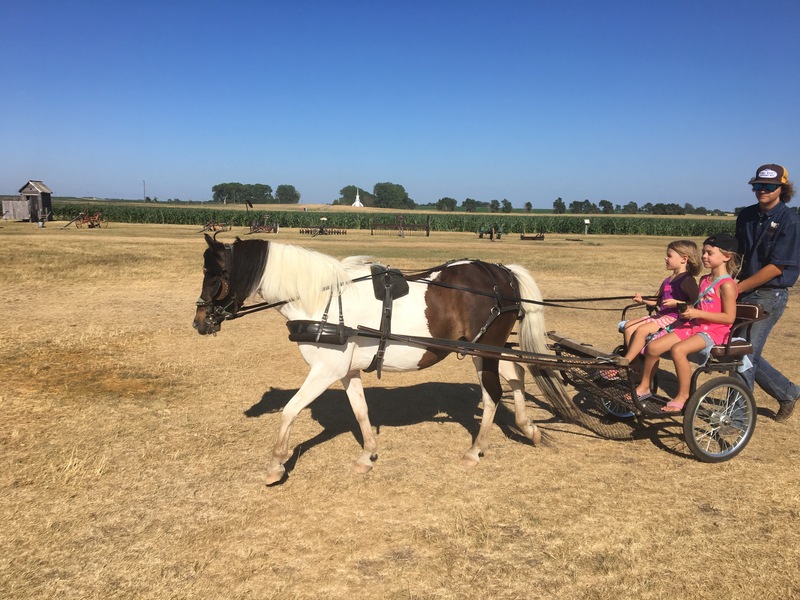 It felt very much like a working farm – corn growing in groups of 4, just the way Pa planted it, and a barn full of kittens, chickens, tiny barn swallow chirping in their nests, and a very young foal wandering around seeking attention. 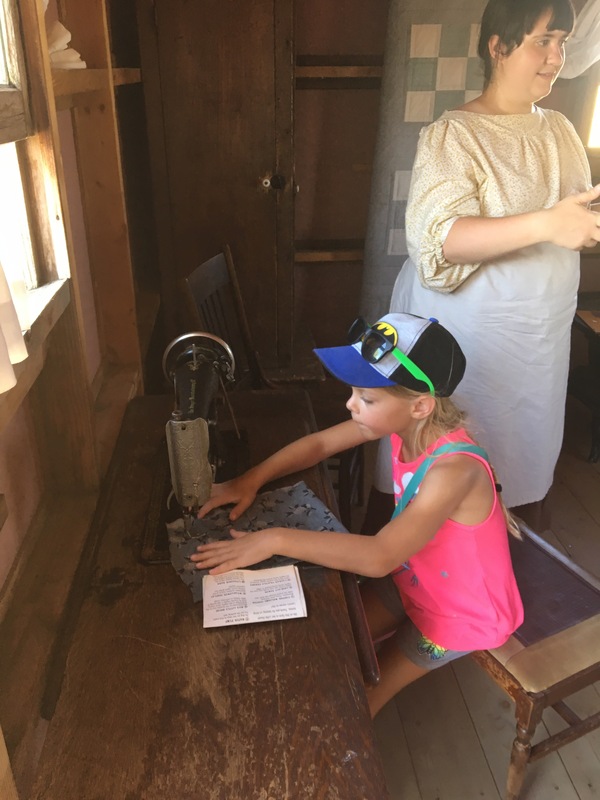 The girls got to try their hand at working a sewing machine, hand washing laundry, and playing a pump organ like Mary did. 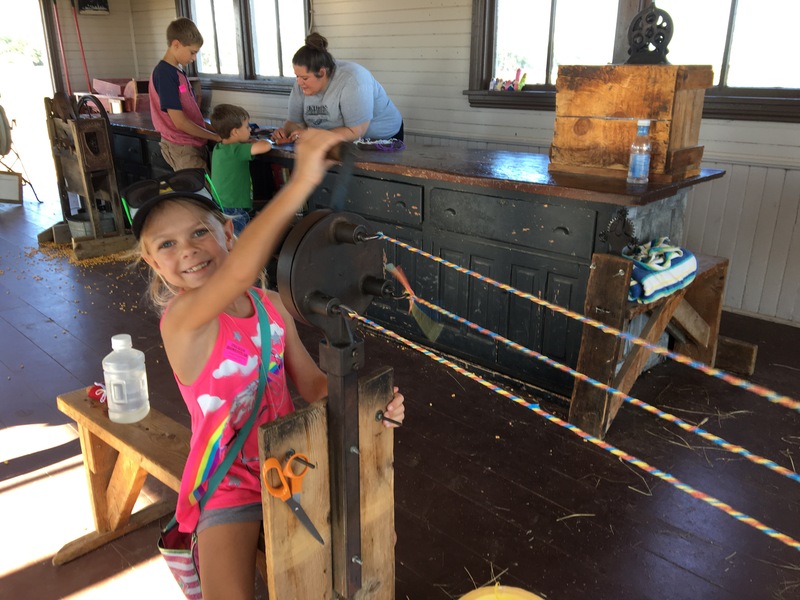 They made several toys like Laura and her sisters played with including a small toy out of a button and string, a jump rope, and a corn cob doll. 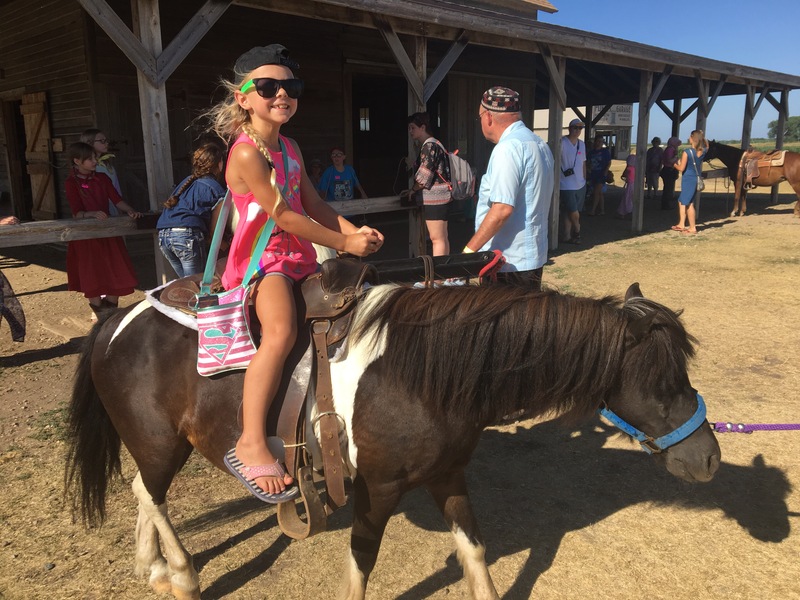 They rode a pony that looked very much like the one their Pappy keeps for them in Arkansas, and when we took the short wagon ride to the school house they even got a turn at holding the reins. 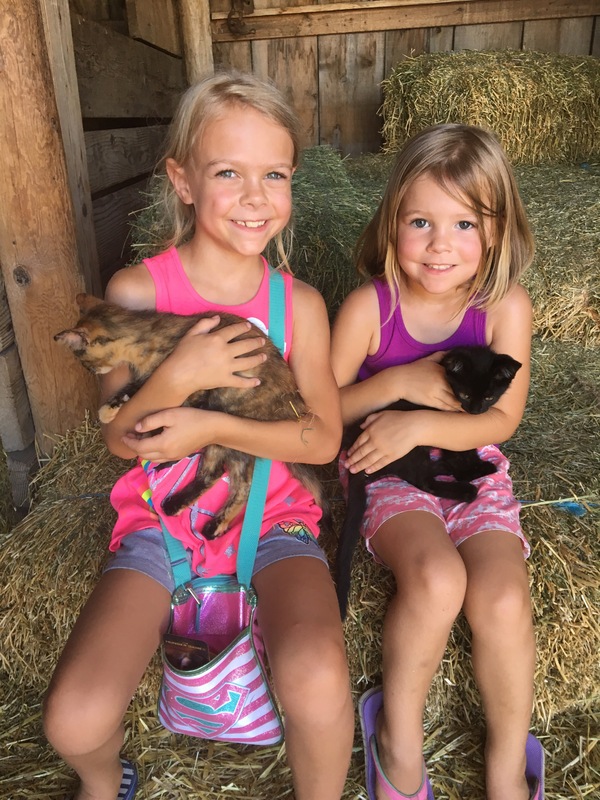 So many barn kittens. By the end of the day they were so exhausted from being handled all day that they were falling asleep in our hands. 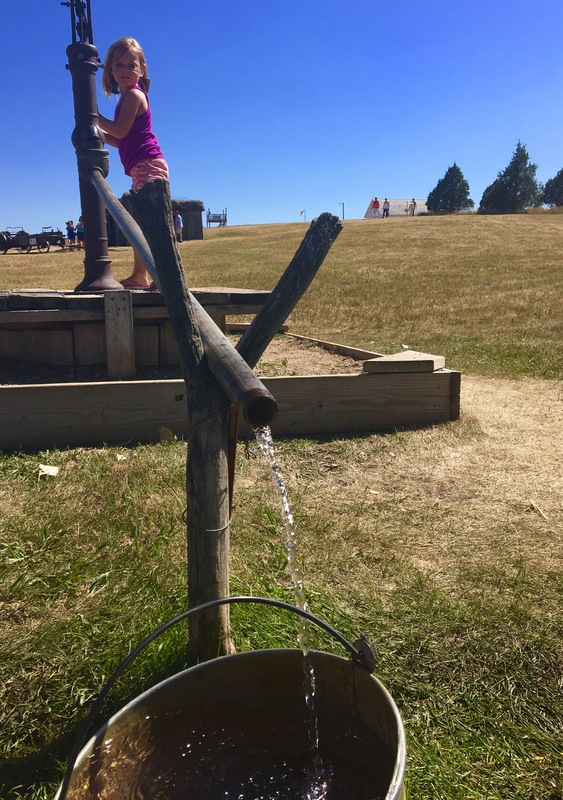 Finding some cool, refreshing water at the well. Doing laundry the old fashioned way. Sunny trying out the sewing machine. 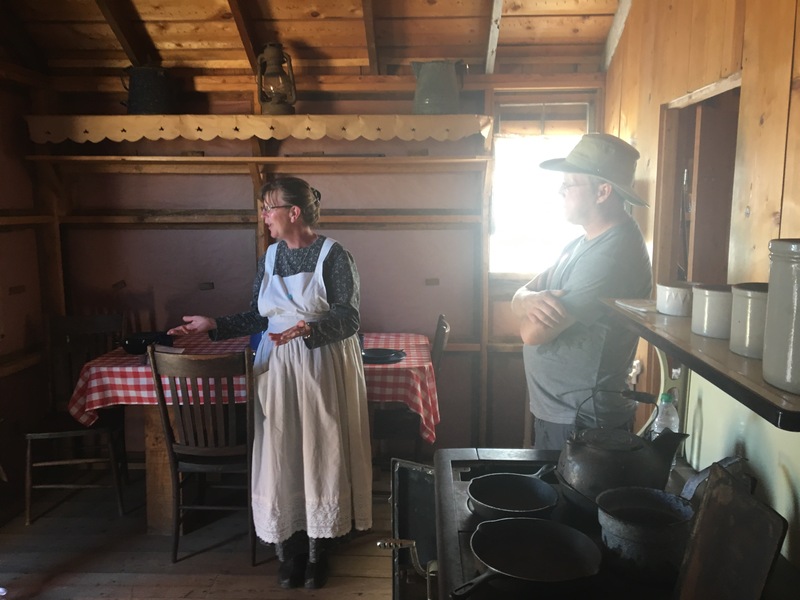 Inside the replica of the Ingall’s home, this woman shared many stories about their time on this homestead. Simple toys made from buttons and string. 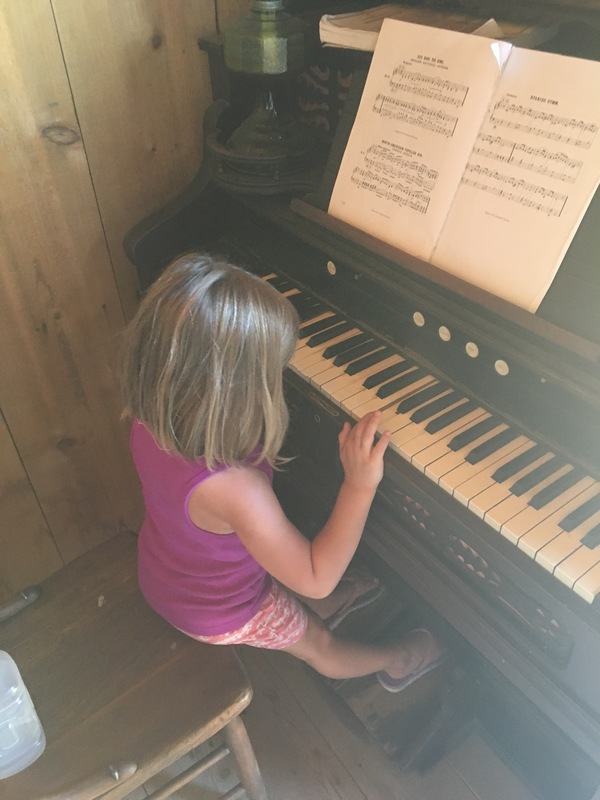 Trying out the pump organ. 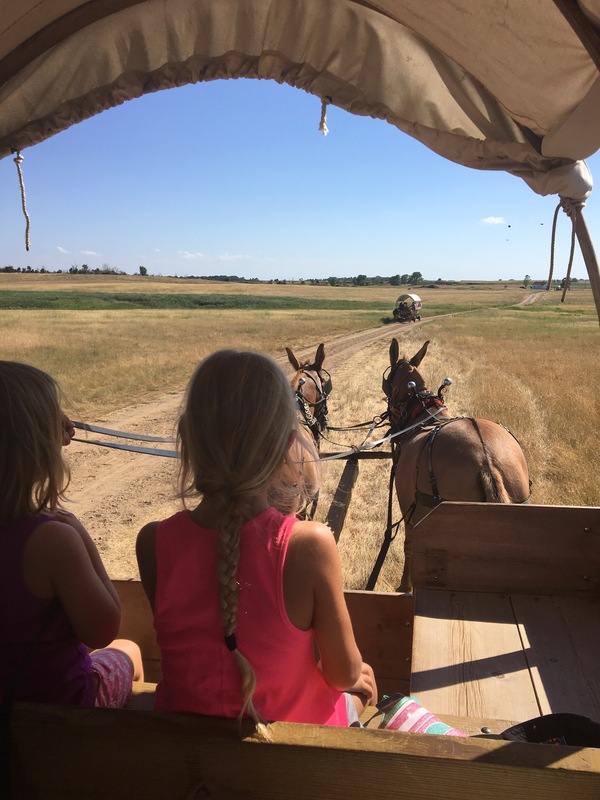 Driving the covered wagon out to the school house. At the school house we learned a little bit about what a day at school would have been like in this area 150 years ago. Sunny considering the cowgirl life. 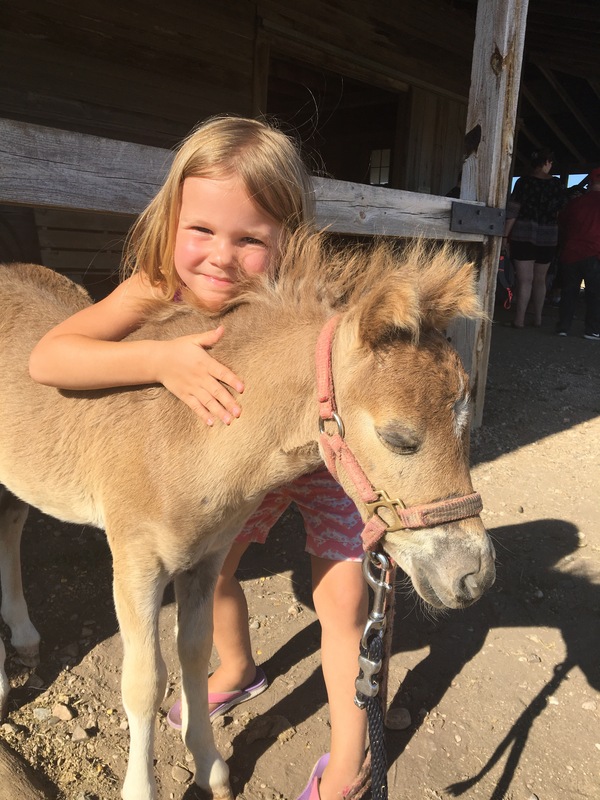 Coral with Star, the new foal. There was so much to explore that we could have spent an entire day, but the heat kept our visit to just a few hours. Even though the 95 degree day was at times uncomfortable, it made it feel even more like we were experiencing a day in the old west. 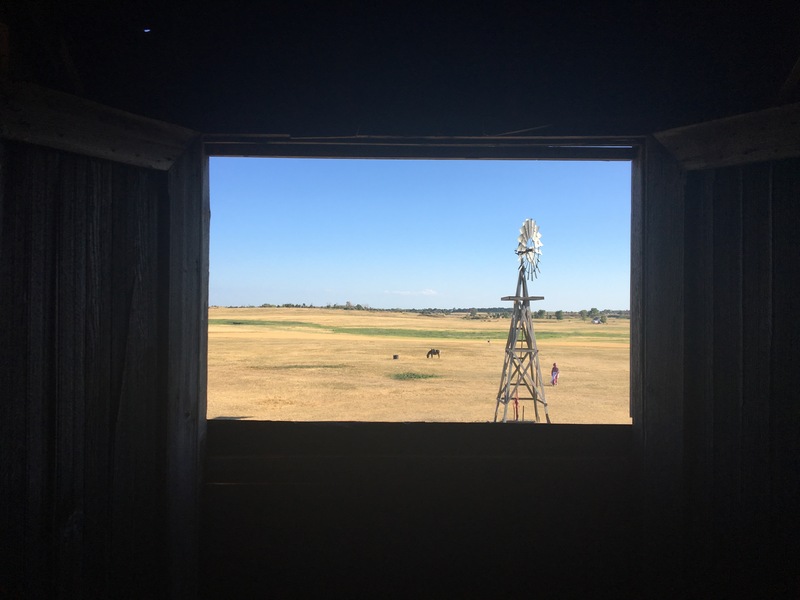 View of the homestead from the barn loft. Each summer the local community performs a pageant of some of Wilder’s works in a large outdoor amphitheater across the road from the homestead. Because the weekend we were there was also Laura’s 150th birthday, there were a couple of actors from the old television show there before the performance for a question and answer session. Even though I didn’t watch the show, it was fun to hear them answer questions about making the episodes while we sat in the grass and ate our picnic dinner. 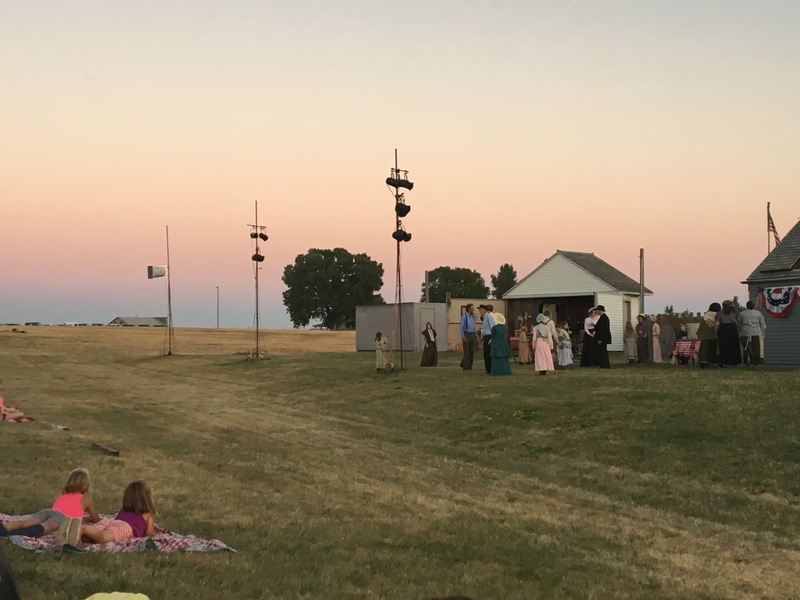 While the pageant suffered from its fair share of low budget audio visual difficulties, it was a really special thing to sit under the big prairie sky as the sun got low in the sky and watch the drama of Laura’s stories. 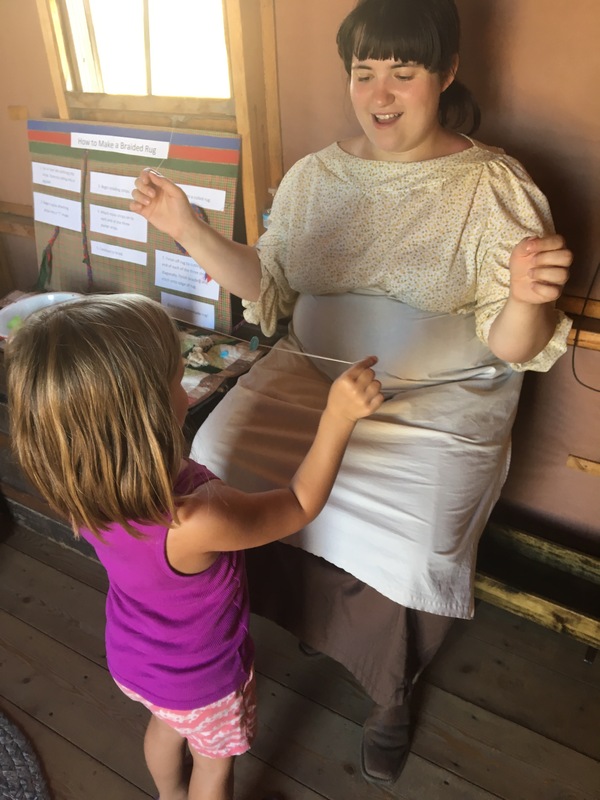 As the sky grew dark and the sets of the general store, school house, and Ingalls home became illuminated, you could still see the prairie grasses swaying in the wind in all directions. 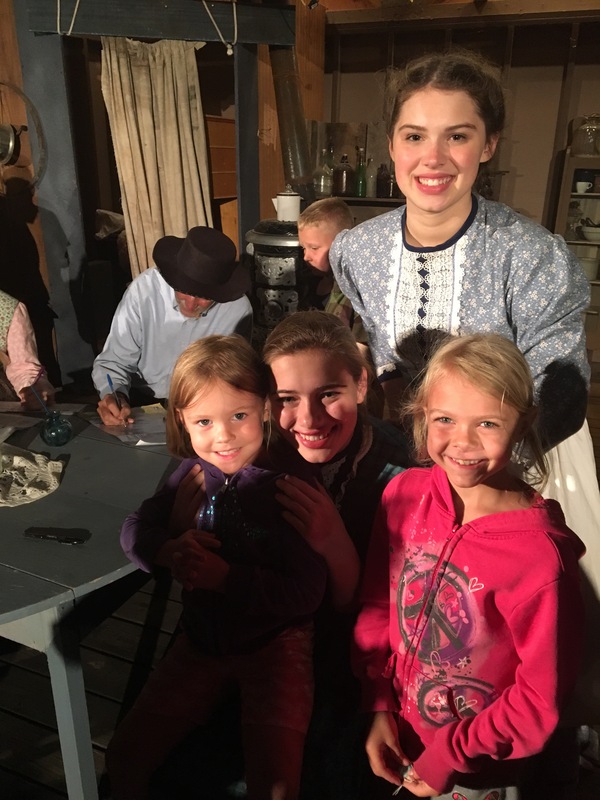 Even though the girls got a little antsy before the 10:30pm conclusion, and some of the dialogue was confusing to them, they were still bubbling with excitement to meet the actress who played Laura after the show. The girls enjoying their front row seats to the outdoor pageant on the prairie. After the show they got to meet the girls who played Laura and Mary. After our experience in De Smet, we started reading “Little Town on the Praire” which is the book they performed at the pageant. As we have begun to read through the chapters, they frequently stop me to excitedly say, “Hey, this is the part of the play when a mouse chewed Pa’s hair in his sleep!” Or “They are talking about that hillside we were on!” Our day in De Smet has made these tales come alive like nothing else could have.